It is becoming clear that whilst weight and health are related they are not synonymous. People who are “technically” overweight may live as or even longer than those of “normal” weight. The BMI, whilst a useful tracking tool is not by itself an indicator of good health. 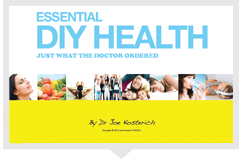 What really matters is our metabolic health and how “inflamed “ our body is. Slow inflammation is the central issue in heart disease, stroke, many cancers and many degenerative conditions. In turn our hormones and the bacteria in our gut influence this. Whilst this may sound complicated there is really good news. They are all connected and are all positively influenced by the same basic lifestyle measures. So what do we need for good metabolic health? 1) We need to do regular exercise. 2) We need to be on a diet that is low in processed and packaged foods and high in fruits, vegetables, good fats and protein. 3) We need to be getting adequate sleep which for most of us is eight hours per night. 4) We need to manage our stress to keep our stress hormones in check. Things like guided relaxation, slow deep breathing or meditation are great for this. So do these simple things and your metabolic health will be enhanced.